Jack Welch Management Institute | Is an MBA Worth It? Search “MBA,” and you’ll find about 81 million results online. The process of deciding on an MBA (master of business administration) is difficult to navigate. Chances are, if you’re here, you’re interested in getting your MBA. Chances are you’re also doing your research. Good on you. We’re often asked, “What’s the value of an MBA?” Here, we’ll explore this very sincere question. 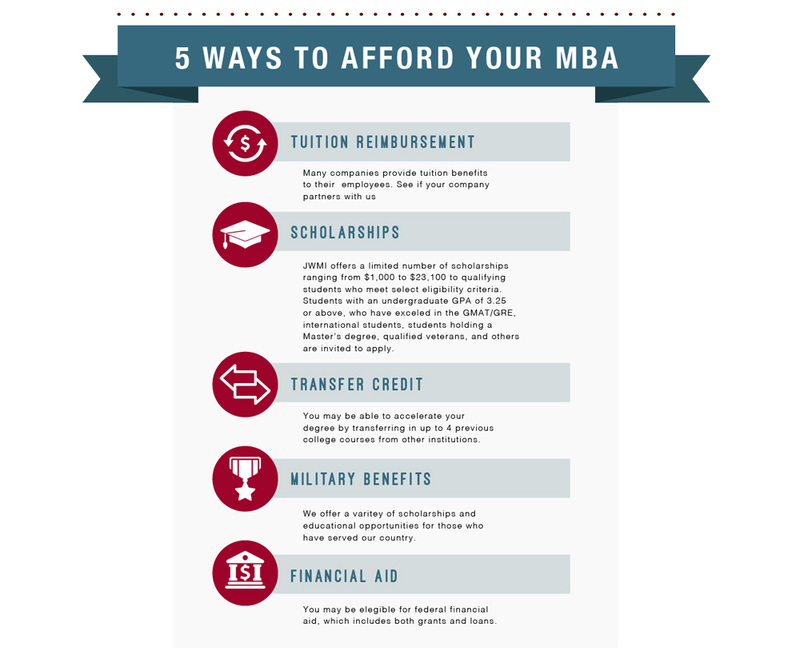 We’ll consider cost, time and how much you can expect an MBA to impact your career. Talk around the value of an MBA includes questions like: Is an MBA too expensive? Would students learn just as much through hands-on experience? Should I attend a traditional school or look for a more convenient option? These questions are complicated. Interestingly, while full-time MBA programs have seen a decrease in applicants over the past three years, the demand for online MBA programs has increased. This shows the market is still demanding an MBA as a tool for growth, but students are turning to new, more flexible options for leadership development. Can I expect a return on investment after attending business school? A 2015–16 survey by U.S. News & World Report shows that graduates of online MBA programs experience a 22 percent increase between their average entering salary and their average salary three months after graduation. Experience is valuable, undoubtedly, but there is a clear correlation between MBA graduates and their ability to earn promotions and raises. 2 out of 3 Jack Welch MBA students get a raise or a promotion while enrolled in the program1. These gains in salary aren’t exclusively due to the mastery of hard skills, either. A 2018 skill gap analysis conducted by LinkedIn revealed the most in-demand skills according to employers. Among them are leadership, communication, collaboration, and time management. Developing these skills in an MBA program like JWMI’s can have a direct impact on your career growth. In short—an MBA delivers a return on investment by setting you up for a continued upward trajectory. How long will it take to get my MBA? Online MBA programs typically offer more flexibility in regards to a timeline for course completion as compared to traditional programs. The Jack Welch MBA, for example, can be completed in as few as 18 months based on your schedule. Traditional MBA programs are more rigid, expecting you to complete coursework under their terms while also requiring students to push pause on their careers, creating a huge opportunity cost in addition to tuition. Final program length will depend on the number of courses taken per quarter and the number of quarters attended per year. How do different MBA programs’ tuition fees stack up against each other? Do your homework. Tuitions can vary depending on location, reputation and classes offered. The Jack Welch MBA is less expensive than 17 of the other 24 schools on The Princeton Review’s Top 25 Online MBA Programs. You can also consider that financial aid, employee sponsorship and tuition reimbursement may be ways to offset some of the cost of tuition. Yes, from a monetary perspective, the stats are important when selecting the right MBA program. But an MBA’s return on investment is not just monetary—it includes individual values, such as confidence and personal growth, that can be expanded beyond business applications and into one’s personal life. In other words, life isn’t all about the money. Neither is an MBA. The degree offers benefits that aren’t just numbers on a page. These soft skills can make a real difference in business leaders’ lives and careers. An MBA gives you confidence. While in some fields, an MBA is a must-have, others seek an MBA to improve less quantifiable leadership skills such as self-confidence. Of the over 389 JWMI students that responded to our Graduate Capstone Survey2, 95% said their confidence as a leader grew. An MBA diversifies you from the crowd. Adding an MBA to your name can open you up to a world of new opportunities for leadership, with direct lessons you can learn today and apply tomorrow. The letters “M-B-A” are powerful and, in such a competitive landscape, can give you the edge you need to stand out. An MBA provides lifelong benefits. Some of the benefits you’ll discover at MBA programs such as JWMI include superior leadership development and a strong network with other students and top-notch faculty. Take the time to discover the culture of various MBA programs you’re interested in, so you can find the right fit. Whether in the fast lane to a top leadership position in your company, fresh out of college with a shiny new undergraduate degree, or fired up by the journey of starting your own business, the written and unwritten skills you gain from an MBA can elevate you higher. When I interviewed for my new role, the CEO told me I had the confidence and leadership skills he was looking for. My JWMI MBA helped me leapfrog the competition and get the position. Ultimately, the value of anything (even an MBA) rests on you and how much you put into it. And if you’ve considered getting an MBA, studying online with the Jack Welch Management Institute will provide you the leadership skills you need to go higher. Matching the intellectual rigor of their brick-and-mortar counterparts, online MBA programs create new opportunities. They are flexible, affordable and bring a new diversity of background and thought to higher education. Through these options, a new generation of leaders is gaining access to the knowledge once reserved for a privileged few—which will help grow our economy. 66% of students; Based on 1,214 survey respondents among 1,281 JWMI students surveyed during the final quarter of their program between January 2015 and December 2018. 2018 Graduate survey: 391 survey respondents among 407 JWMI students surveyed during the final term of their program. We’ve redefined the MBA experience with an entirely online, yet richly interactive, curriculum. Taught through a mix of powerful lectures, insightful reading assignments, video messages from Jack Welch on breaking business news and more, the MBA program at JWMI enables you to pursue your degree while building momentum in your career. To begin your application to the Jack Welch MBA, visit app.jwmi.com. Or to view our MBA course details or speak with an Admissions Officer contact us at 1.855.596.5964 or via email at information@jwmi.com.